Diana Furchtgott-Roth is Senior Fellow and Director of Economics21 at the Manhattan Institute for Policy Research and an Adjunct Professor of Economics at George Washington University. 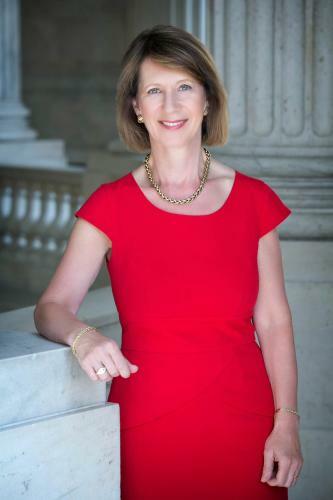 She previously served as Chief Economist of the U.S. Department of Labor; Chief of Staff of the President’s Council of Economic Advisers; Deputy Executive Director of the Domestic Policy Council; and Junior Staff Economist at the Council of Economic Advisers. Ms. Furchtgott-Roth’s latest book, Disinherited: How Washington Is Betraying America’s Young, coauthored with Jared Meyer, received the 2016 Sir Antony Fisher International Memorial Award. Her previous books include Women’s Figures: An Illustrated Guide to the Economics of Women in America, and Overcoming Barriers to Entrepreneurship in the United States. Until earlier this year she was a columnist for MarketWatch.com and Tax Notes. Ms. Furchtgott-Roth received her BA in Economics from Swarthmore College and her M.Phil. in Economics from Oxford University.